CUPERTINO, Calif. — When Apple releases new products these days, the company simply doesn't "wow" as many customers or industry watchers as it once did. Apple says it makes revolutionary changes in virtually all of its product innovations — a boast that invites endless skepticism from the tech press and other critics — but most of its true technological advances today are "under the hood," and they largely go unnoticed by the masses. Technologists and media that follow Apple closely may be underwhelmed, but Apple customer satisfaction is at an all-time high, and consumers continue to vote in favor of the company with their cash. "The reason Apple still continues to sell well despite incremental innovation is that the loyalty of its fan base is tremendous, and they consider each iteration as something they must own," says Chetan Sharma, a technology analyst and industry consultant. "Apple's base remains strong and it outperforms other OEMs [original equipment manufacturers] by a distance." Apple CEO Tim Cook cited an impressive stat to demonstrate the popularity of the company's products during the iPhone SE and 9.7-inch iPad Pro event at Apple headquarters on Monday. "Recently we passed a major milestone that no one could have ever imagined," Cook said. "There are now more than 1 billion Apple devices in use around the world." Apple shipped 226 million iPhones and 49.6 million iPads in 2015, according to IDC. (IDC is a CIO.com sister company.) Apple's tablet sales decline during 2015, and the company's share of the global tablet market stood at 24 percent at the end of the year. The tech giant captured 15.8 percent of the global smartphone market last year, and it also managed to bank an astonishing 92 percent of total smartphone industry profits, according to research from Canaccord Genuity, as originally reported by The Wall Street Journal. The new, smaller iPhone SE and 9.7-inch iPad Pro will help Apple expand its base in China, India and other emerging markets, according to Sharma. The high-end market for mobile devices is composed mostly of upgrade and replacement purchases, versus new smartphones buyers, but "the low-to-mid tier is up for grabs from Android, and that's the space Apple will push to sell more units," he says. Today's mobile platforms are mature, according to Avi Greengart, research director at Current Analysis. "There is still a tremendous amount of innovation left for companies to create and build on, but we are unlikely to see real game-changers." However, incremental improvements in products that billions of people use every day can be enormously impactful, Greengart says. The looks of popular smartphones, along with their feature sets, used to change with each new release, but most of today's advancements come in the form of software tweaks and improvements to internal components. And Apple isn't alone in this strategy; the mobile device industry at large has moved away from making major improvements to most of today's smartphones and tablets, Greengart says. "Apple has already captured a large portion of the premium smartphone market," he says. "Stabilizing sales at this absurdly high and absurdly profitable level is not a bad thing for Apple, and does not help Apple's competitors. If Apple is going to grow rapidly again, it will likely come from new products that work with iPhones, not an improved phone." Even if Apple's two latest products lack the "wow factor," the company succeeded in packing the majority of features in its larger flagship iPhone 6s devices (with the exception of 3D Touch) into a 4-inch handset that is its most affordable iPhone ever. 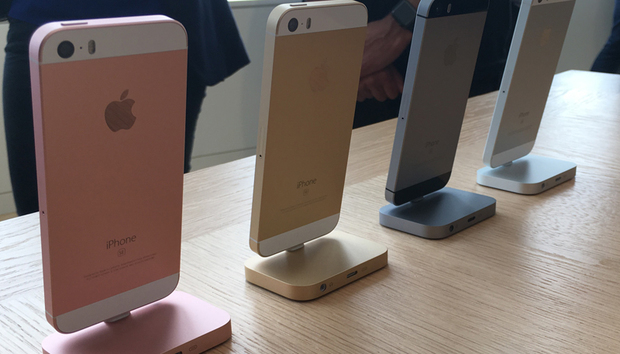 The iPhone SE may not wow users like previous iPhones, but it will sell, and that's what matters to Apple. "Apple is an aspirational brand, and consumers will continue to buy the products if they're near their price ceiling," Sharma says.